Q: The roots of our shade trees are becoming more exposed as they age and the grass is is not growing well beneath the trees. 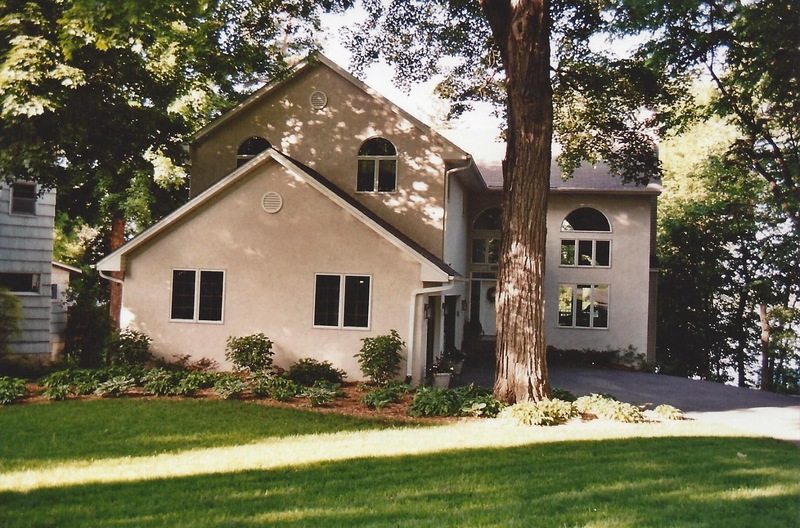 What can we do to take care of the trees and avoid damaging the roots with the lawn mower? 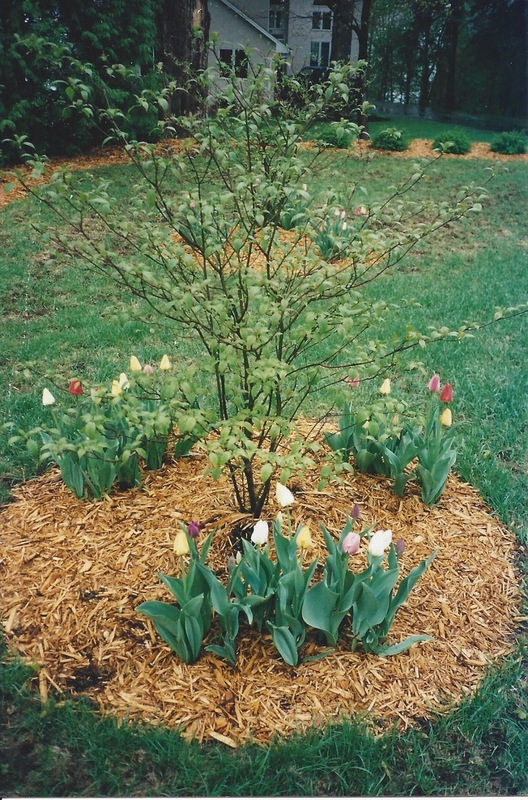 Small trees and shrubs benefit from being mulched. Spring bulbs are a good option for some early bloom. A: Protecting the roots of mature trees is important. Mowing and other activities may potentially wound these roots exposing them to pests and disease. Likewise, grass can be difficult to grow under trees as it is often shaded out and becomes thin. Grass also competes with tree roots for moisture and nutrients, and - as you know - can be challenging to mow properly. Protect the roots by mulching them with wood mulch. Remove any lawn grass growing between / over the roots. The minimum recommended diameter of a mulch ring is 6-feet, but you may certainly go larger. Likewise, a kidney-shaped form or some other unique shape may better fit your site and aesthetic. You might also choose to plant shade-loving plants in the mulch and create a great shade garden. 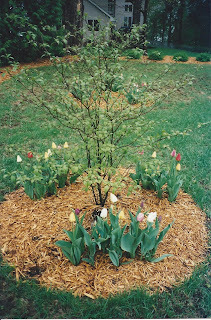 Attached is an example a large tree that is mulched and planted underneath with shade plants, and a second example of smaller mulch trees / beds planted with spring bulbs. and create a beautiful shade garden.